Ride of the Lions (ROTL) was set up after a trip to Australia in 2013 where participants cycled with the match ball between Melbourne and Sydney, which consisted of 600 miles of relentless hills in temperatures ranging from below freezing to tropical. The group of riders contained British and Irish Lions, Wallabies and general rugby / cycling enthusiasts and raised well over £100,000 for WWTW – their principal charity. In 2014, Ride of the Lions planned their Triple Crown Ride, which took a group of 10 Lions from Twickenham to Murrayfield via the Millennium and Aviva stadia. They also dropped in at a number of Rugby clubs along the way. 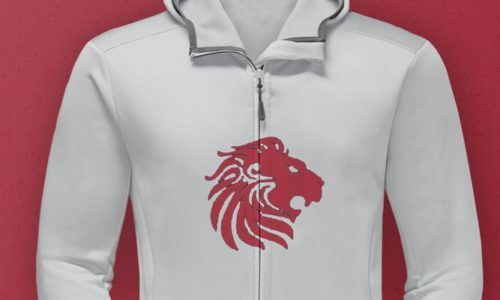 For the event, Ride of the Lions organisers contacted Garment Printing asking if we would be able to provide them with printed high visibility cycling jackets, which were to be worn at the event. For the event, they wanted their logo printed on the left breast of the jacket and to achieve this we opted to use Screen Printing to ensure that all of the printing was done to a high-quality standard and it was ready in time for their big ride.